Often details on menus are limited to descriptions, prices and maybe a picture or two. 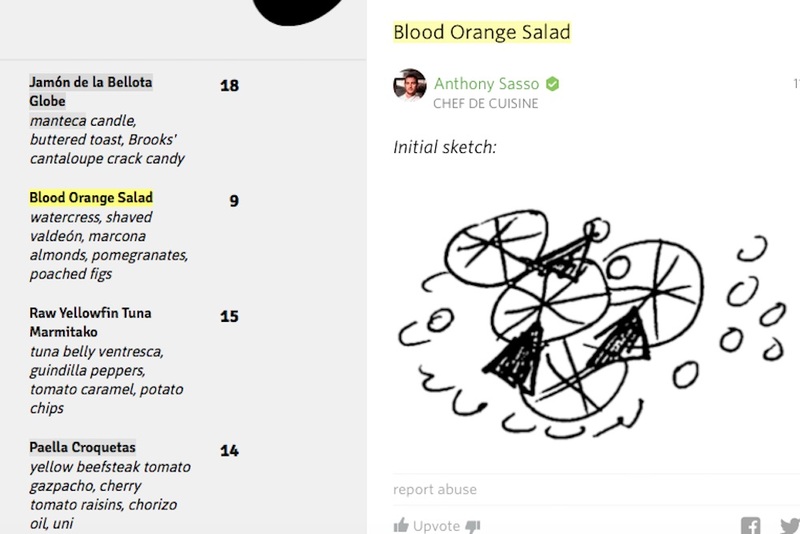 Mario Batali and Anthony Sasso are adding special annotations to their menu at La Sirena in order to give their customer’s a sneak peak into the creation process behind putting together a one-of-a-kind menu. As the menu changes over time, so too will the annotations, adding new details to the culinary experience.